Today was my shopping day. Now, on the whole I don’t particularly enjoy grocery shopping – it is one more thing to fit in to an already busy week. My local independent supermarket does a pretty good job of having an interesting range of quality products, which helps a little bit, but on the whole, it is just one more job to get done. I do however, enjoy my visit to the butcher and today was no different. So what is the difference? What does my local butcher provide that I can’t find elsewhere? My butcher is more than just a place to buy meat. My butcher and I are on first name terms. We share all sorts of stories and local news. As with many other of their customers, I have shared in the roller coaster ride that he and his wife have been on over the past 6 months when their son was born 14 weeks premature. In turn, I share with him what is happening in the apple and pear industry and find points of common interest. He always has a slice of fritz on hand for my children if I have them in tow. I do not know him outside of the butcher’s shop, but have a real sense of connection with him which helps to build a sense of trust. My butcher tells me all about the meat he sells, where it comes from and what is good at different times of the year. He gives me good, reliable advice on the best way to prepare different cuts of meat. In return, he often asks me for feedback on what he is selling. He genuinely wants to make sure that he is delivering the best possible quality, so he listens to his customers. Today he wanted to know if I was happy with the taste of the sirloin steak I have been buying recently as we move into winter pastures and the appearance of the local grass-fed beef changes. I could gladly report that it is still eating well and I now have a greater appreciation of the impact of changing seasons on meat quality. He is open about his product and as a result, I trust it. He consistently supplies a very good quality product and if on the extremely rare occasion I am not happy with something, I know that I can give feedback and he will go out of his way to supply me with something better next time. I don’t even think about buying my meat elsewhere as I can trust him to deliver a great product every time. So what can the food and agriculture industry learn from this? What can we do to build that sense of connection with the consumer? How can we share our knowledge with them? How can we make sure we deliver a quality product and build in a feedback loop to make sure we know when we are going wrong? These are not new questions and there is no one simple answer. However I am sure that I am not the only consumer that is fed up with the sterility of the shopping aisles. I certainly understand the draw to places like the central market and farmers markets, where there is atmosphere and vibrancy. It doesn’t however, particularly suit my life at the moment to drive 30 minutes or more for my regular shop and it doesn’t suit me to always shop when the markets are open. I love the convenience of being able to shop locally at a time that suits me and supermarkets (and my local butcher) provide most of what I need. It is a fact of life that supermarkets provide food for the vast majority of our population and will continue to do so. But I believe there is something really key missing – the sense of the food that we are buying being more than just a commodity, the sense of knowledge about our food and its seasonality, the sense of connection to where it is grown and in turn, a sense of trust. At a recent apple orchard open day, many parents reported to me that they brought their children along to show them where their food comes from. Parents and children alike relished the experience to be able to wander an orchard, pick fruit directly from the tree and soak up their surroundings – smells, sounds, sights and flavours combined to form long lasting and tangible memories. It is not possible or practical to take all shopping experiences back to the source of production. However, imagine the impact if some of that experience could somehow be brought into the shops and retail outlets in exciting and creative ways! Here lies a challenge for our industry! According to the recently released National Food Plan, it is estimated that a whopping 30 to 50 per cent of all food produced on the planet is not eaten. In Australia, on average each person generates roughly 360 kilograms of food waste every year. These figures are staggering. In order to feed an ever growing population, we cannot just continue to strive for greater production efficiencies without ignoring the issue of food waste. There are various reasons for food wastage that occur. For many of us, food that goes off in our refrigerator before we get to eat it or left-overs from restaurants that get discarded are the obvious ones. However a significant degree of waste is also occurring as a by-product of our seemingly insatiable demand for fresh produce that looks perfect, has consistent eating quality and is of perfect size and colour. Much of this waste is not even taken into account in the quoted figures above! Fresh produce that does not meet a required specification is often discarded before it even leaves the field. Perfectly good food is rejected for a minor blemish or for being the wrong colour, size or shape. Further, growers are having to go to extraordinary lengths to produce this “perfect” produce; investing heavily in complex growing systems and fighting a battle they can never win completely to iron out the “imperfections” of nature. It takes a lot of effort and costs a lot of money to grow the perfect piece of fruit and vegetable. It takes even more effort to grow an entire field of exactly the same perfect fruit or vegetables. 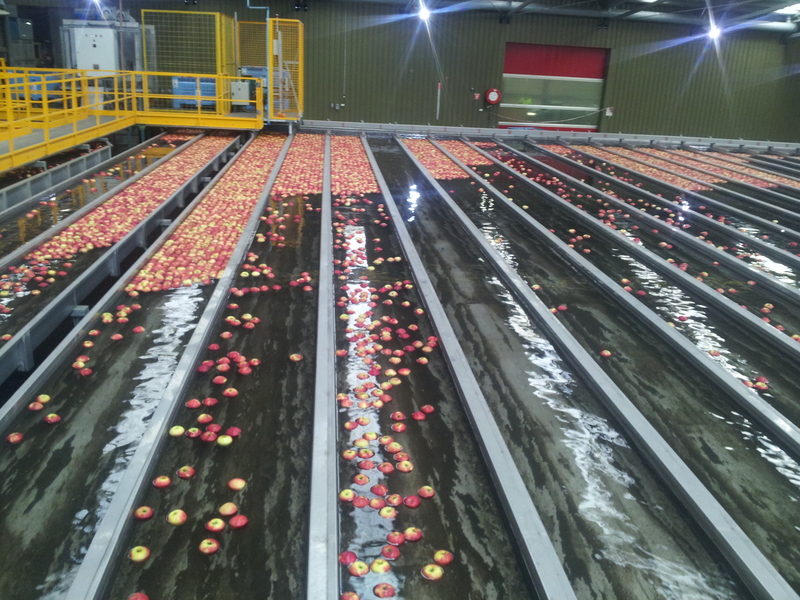 I would like to share the story of how Australia’s apple growers are tackling this challenge. 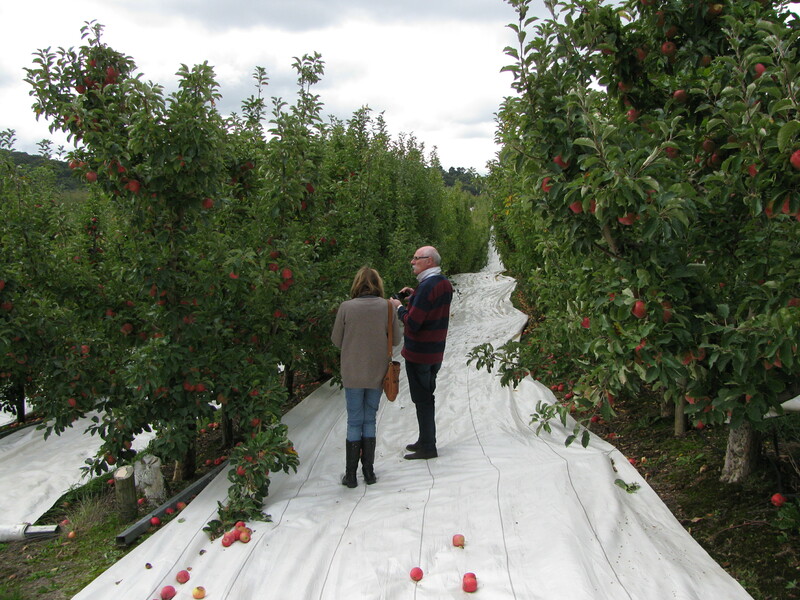 Right now as we move into winter, apple growers around the country are beginning a year-long challenge of fruit production. They are taking care of post-harvest nutrition to ensure that the trees have plenty of reserves as they go into dormancy. 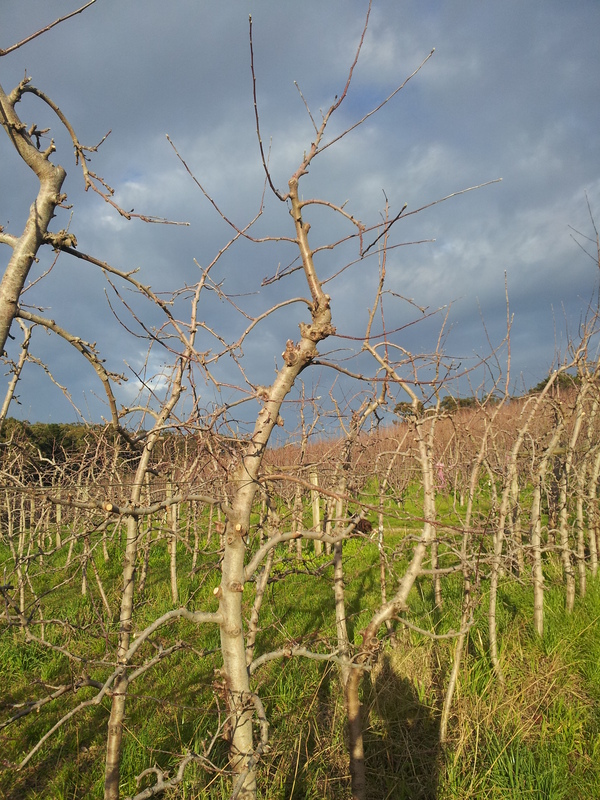 They are also beginning the process of winter pruning, which goes on for many months. Every single tree in an orchard is pruned by hand. Pruning is a complex science and also an art form that sets down the shape of the tree for the coming year, its vigour and how many pieces of fruit will be carried by each tree. Every tree may be pruned several times over to achieve the desired result. 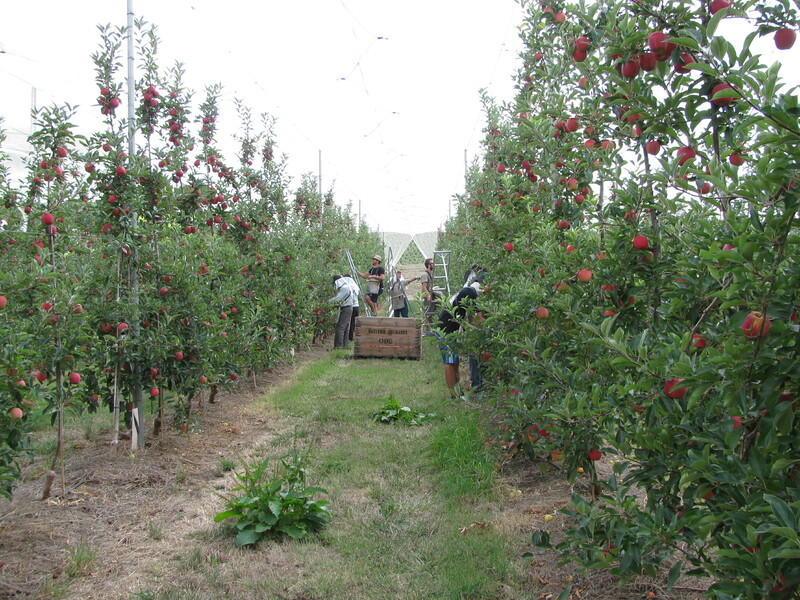 It is one of the most fundamental processes in a commercial apple orchard, but also one of the most labour intensive. 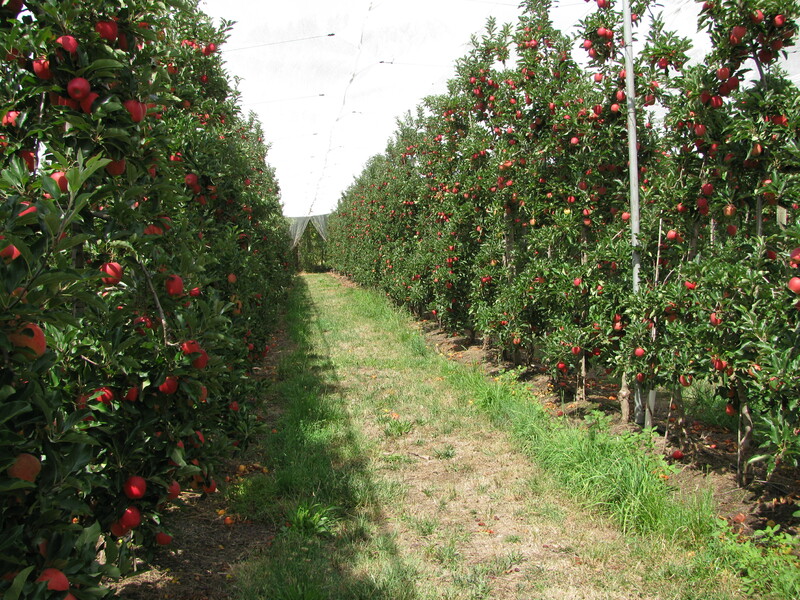 Modern orchards are planted at very high tree densities and dwarfing rootstocks to enable greater control over tree vigour and allow for pruning trees to a shape that allows for even light distribution throughout the canopy. This is critical in achieving even colour distribution and fruit ripening. The amount of fruit that each tree carries directly affects the size of the fruit. So this is a key consideration in all orchard activities. 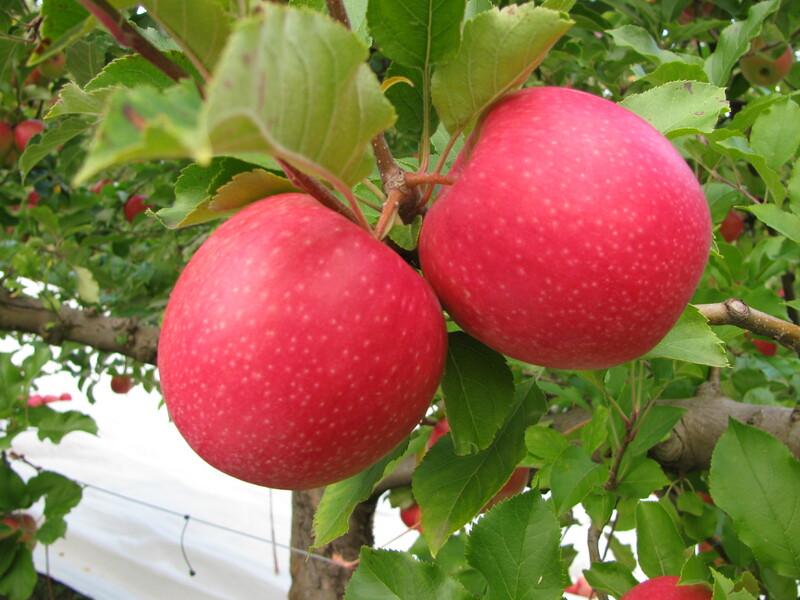 For example, growers strive to grow a Pink Lady apple of a 75 mm diameter, because this has been shown to be the size of apple that consumers are looking for. Apples significantly bigger or smaller than this just won’t sell as well. As we head into spring and the first blossoms appear, some growers may also consider a process of root pruning, where the tree roots are gently ripped to reduce tree vigour and improve consistency of yields from one year to the next. Bee hives are introduced into orchards to assist with pollination. Good pollination is critical in achieving target yields and the target number of fruit per tree. 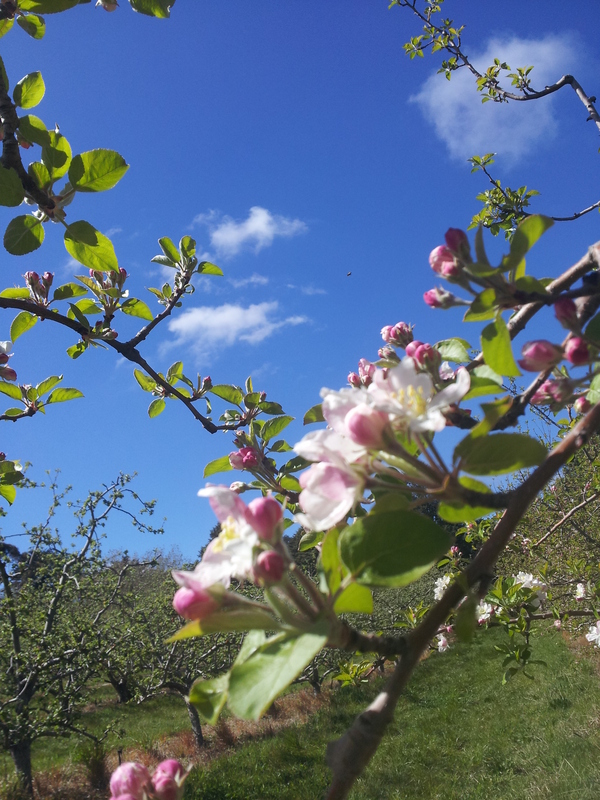 Then growers assess the numbers of flowers and viable fruit buds. On many trees, various methods of fruit thinning are then required to reduce the crop load. This is usually achieved through a mixture of chemical applications of plant hormones to induce some shedding, followed up by hand thinning. This is another manual process that occurs during spring, where excess fruit is individually picked off each tree and thrown onto the ground. Through the season, growers then continually monitor and assess the growth of their trees as well as the size of the fruit. Often, growers will go through and do a summer prune to remove excess canopy that is shading the fruit – another manual process. 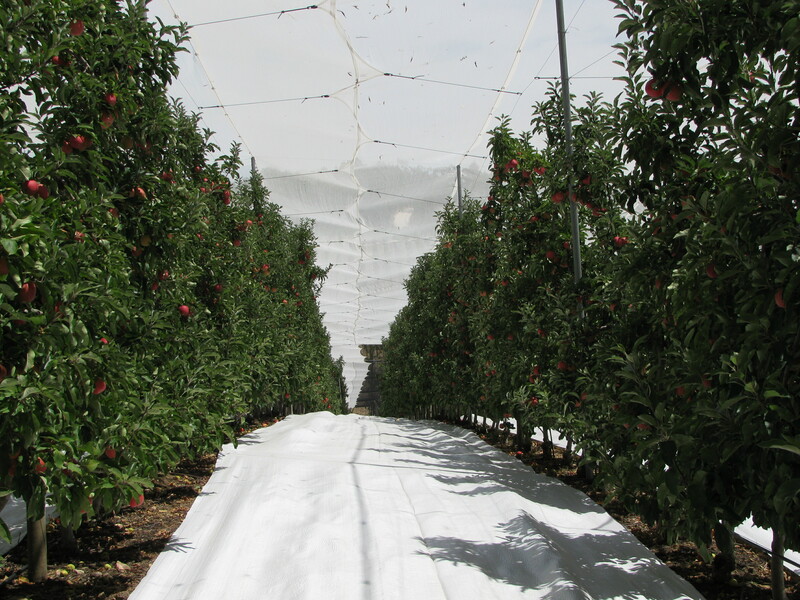 Growers also closely monitor pests and diseases and use integrated pest management techniques to minimise any damage to fruit. In the heat of summer, sunscreen may even be applied in periods of extreme heat to minimise the effects of fruit sunburn (a special food-safe fruit sunscreen)! Often extremely expensive netting structures are used to avoid damage from birds. 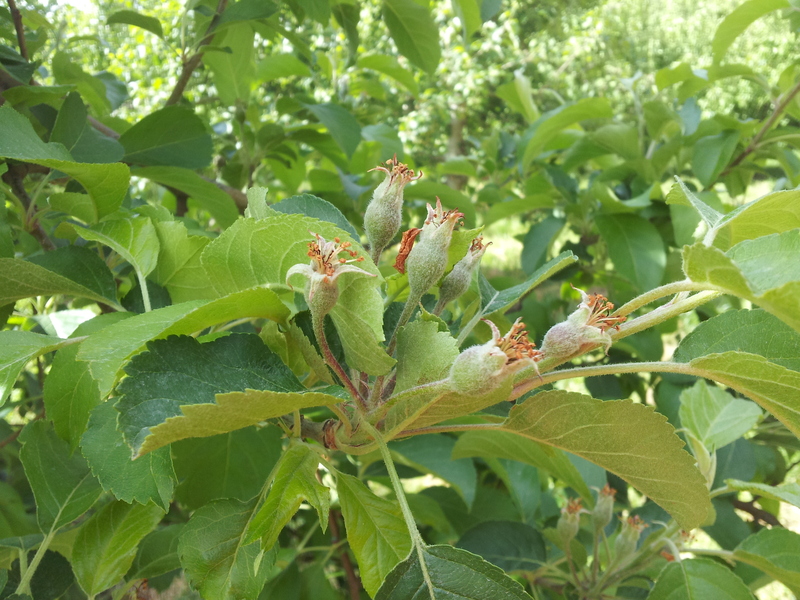 Closer to harvest, if fruit size is a problem growers will adjust their water and nutrient management accordingly, and also may consider a second hand-thinning. Many growers also roll out a reflective matting onto the ground surface that helps reflect light into the lower canopy and improve evenness of fruit colour. At harvest, all picking is done by hand, to ensure fruit is not bruised or damaged. At this point, any obviously blemished, pale, misshapen or poorly sized fruit is discarded straight onto the ground. Fruit is picked at the correct ripeness for its storage needs, then immediately cooled as quickly as possible to ensure it is maintained at optimum freshness. Fruit that is identified to be at risk of not storing well will be sold straight away. Fruit that is to be stored for longer will be kept in high tech cool rooms where gas levels and moisture levels are controlled to ensure maximum fruit quality after storage. At the point of packing, growers have to aim for at least a 90% pack out rate. This means that at least 90% of the fruit they supply to the pack house will be sold as first grade fruit. As much as possible of this fruit needs to be of the optimum size range to get the best returns. Any lower pack out rate, or if they get the sizing wrong, they will be losing money. The returns on second grade fruit going to juice or processing just aren’t enough to tip this balance. All their activities throughout the year are targeted towards providing a product that is deemed in demand by the general consumer. What is referred to in industry as the “mars bar fruit” – something that looks and eats exactly the same every time, no matter what part of the tree or orchard it comes from. This story is not unique to the apple industry. It is across all fresh fruit and vegetable production. So the question becomes is all this effort and in-field wastage really necessary? Further more, by the very essence of demanding consistency of product, are we as a result creating a more mediocre eating experience? Are we providing a consistently good product, but missing out on the surprise experiences that occur through natural variability and complexity. Are we jeopardizing the very variability that is essential to natural order and life? Are we missing the chance natural genetic mutations that may provide new opportunities for further exciting eating experiences? What are your thoughts? What do you look for when you go to buy your fruit and vegetables? The feedback has been overwhelming. Many people want to buy local. Many people want to support local farmers. They just don’t always know how and the choices aren’t always easy for them. Wearing my consumer hat, I am one of those people. Recently I discovered a documentary today called “Broken Limbs”, highlighting the plight of apple growers in Washington State and how a change in thinking and farming styles provided a glimmer of hope. During the making of this film, the filmmakers Guy Evans and Jamie Howell discovered that their own purchasing and eating habits were transformed. They discovered that shopping habits formed over a lifetime are not changed overnight, but one small purchase, one meal at a time. So I am going to take up that challenge, and taking their advice, turn it into three simple tasks when I go shopping. 1. Buy at least three local items each time I go shopping. I will check the labels on at least three products each time I go shopping and make sure they are Australian Made from Australian produce and if possible something local. 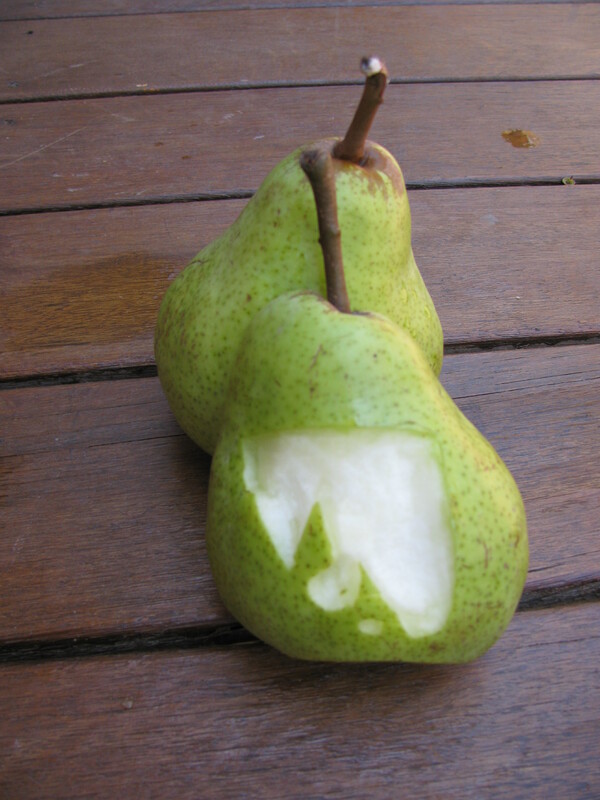 Sometimes the labels aren’t as obvious as this pear etched with the South Australian map! Understanding labels is a challenge. So I am going to make the effort to really look hard on 3 items each shop. If I can’t be sure, I will pick another product. I will make the effort that each time I shop I pick three different items to check out. If I do this every time I shop, it won’t be long before my complete shopping selection will be effortlessly filled with local produce. 2. If I can’t find a local choice or am not sure about something, I will ask for it. 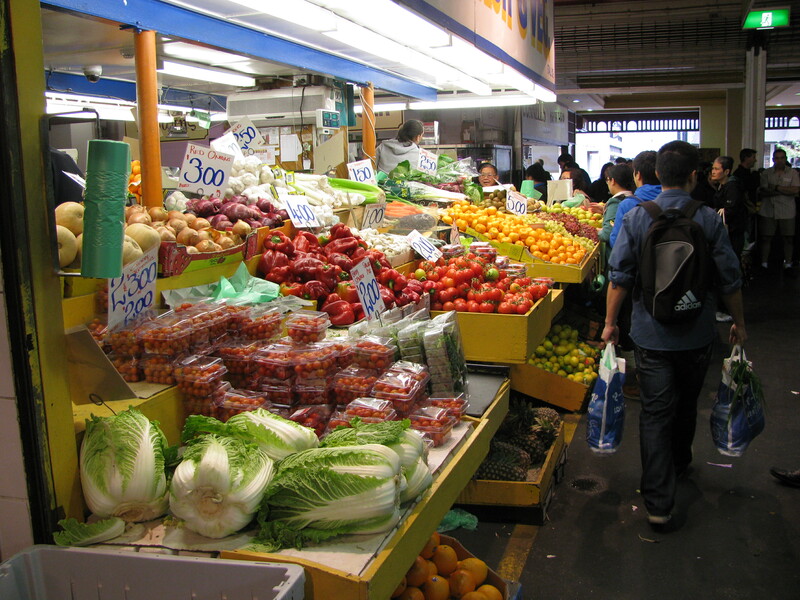 A produce manager or shop keeper will listen to what the consumers want, but they need to know what we are thinking. If enough of us ask the same question, change will happen. 3. Support, share and remember the local labels I get to know and love. When I find a local product that I enjoy, I will make sure I remember the brand and look for it the next time I shop. Once I have made that first choice, the next time should be easy. But more than that, I will spread the word about that brand. I will let them know what it is about their product that I enjoy, I will share my experience with my friends and networks and help others make that choice. That is my challenge that I am taking up and I will share my ride with you as I go. Only 3 simple tasks! I’d love it if you would join me.